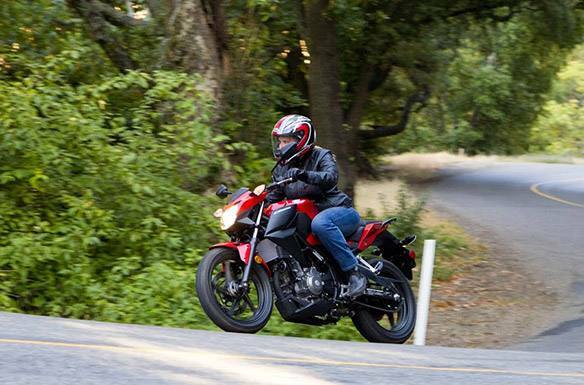 The new 2015 Honda CB300F--you get all the great CBR300R features, but in a bike that offers the pure, clean look some riders prefer—and once you see a CB300F, you may prefer it yourself. 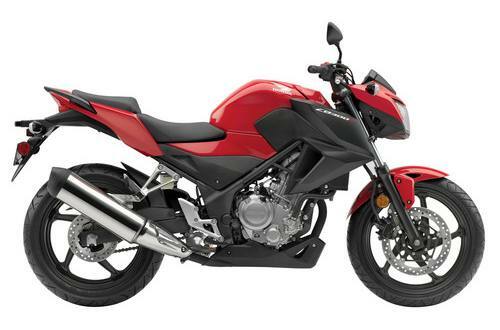 An added plus: The CB300F is a little bit lighter, and you sit up a little straighter. You’re a little more involved in your riding world. It’s an especially good choice for the urban rider. The two share the same great engine—bigger and more powerful than the CBR250R, it offers a wider powerband and more power, great traits for a bike in this category. 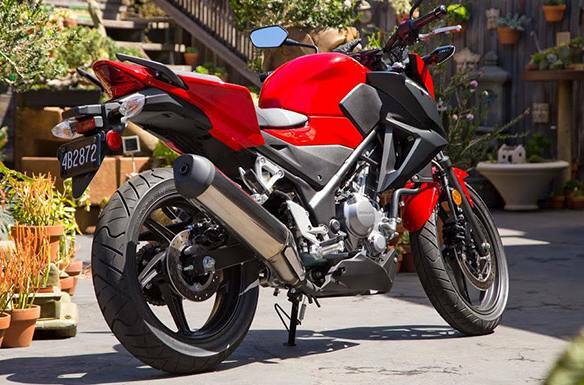 Like the CBR300R, thanks to it’s single-cylinder engine design, the CB300F is narrow, light, and fun. And the fuel-injected engine also offers excellent fuel economy. But maybe the best news of all is the price. This is one bike you’ve got to check out. Light, Narrow, Low: Because it’s a single-cylinder machine, the CB300F is narrow, and with its low 30.7-inch seat height and light 348-pound curb weight, putting your feet down in parking lots or at stoplights can be a lot easier. The Power of One: The CB300F uses a single-cylinder engine with fuel injection, double-overhead cams and a counterbalancer. Sure that’s tech talk, but the architecture offers some very real advantages. Maybe the most important is power delivery: a single offers the kind of torque and midrange power that’s well suited for all levels of riders. Awesome Fuel Efficiency: The new CB300F is a huge winner at the gas pump, with an estimated fuel efficiency rating of 71 miles per gallon. Plus, the bike is passenger capable and freeway legal—versatile, affordable, and fun! Narrow Seat & Low Seat Height: A low 30.7-inch seat height does more than help make sure the CB300F fits a wide range of riders. It makes it easier to put your feet down at stoplights and in parking lots—a big confidence builder. Plus, we’ll offer a Honda Genuine Accessory seat that’ll lower seat height even further!